Shop Postcard. 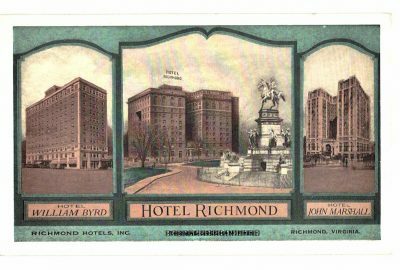 Hotel Richmond, Richmond, Virginia. 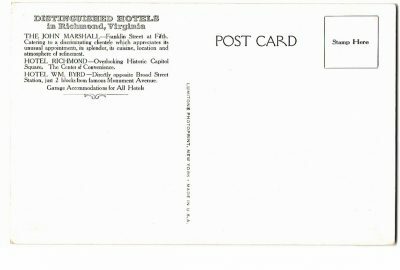 Hotel William Byrd, Hotel John Marshall. Postcard. 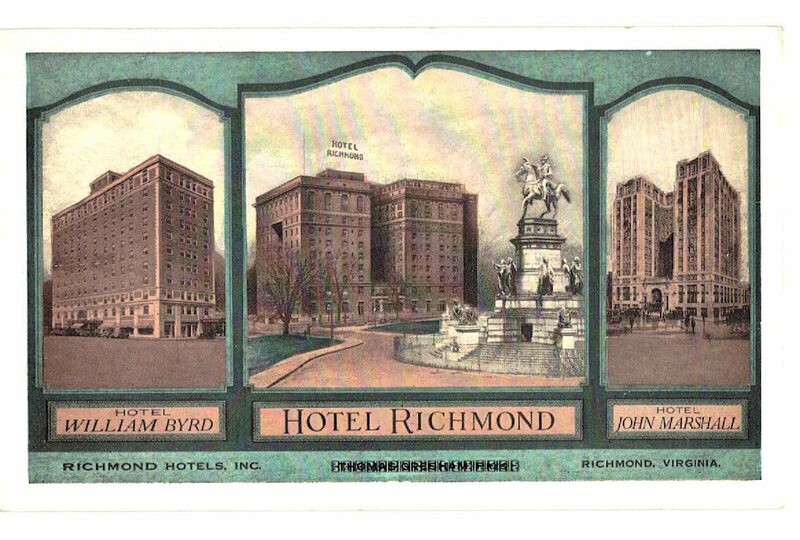 Hotel Richmond, Richmond, Virginia. 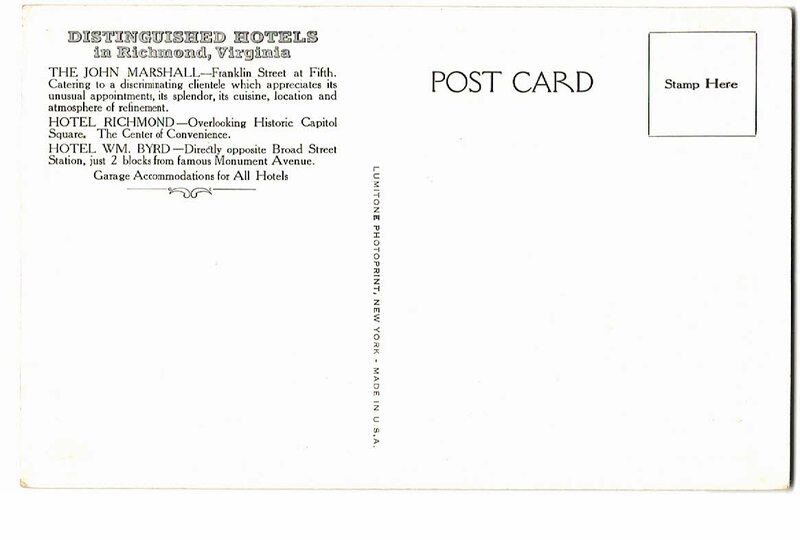 Hotel William Byrd, Hotel John Marshall.